Message From Senator Paul A. Lowe, Jr. The past two weeks have been very slow here at the General Assembly. Most of our sessions have been skeletal and no longer than several minutes in length. My office continues to push for a progressive agenda that will benefit all North Carolinians. From a bill that will put hateful, racist statues into museums instead of college campuses, to a film credit bill that will help bring the film industry back to North Carolina, inject money into the economy and create numerous jobs, we are staying incredibly busy. Outside of the office, I was pleased to see Governor Roy Cooper appoint Associate Justice Cheri Beasley, the first African American female as Chief Justice to the North Carolina Supreme Court. 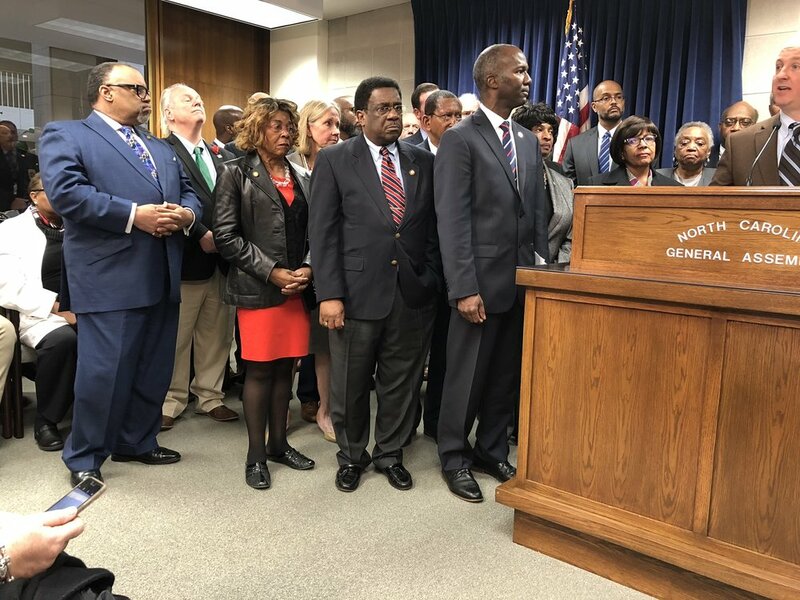 This is a major step towards diversity and in inclusion and I am both excited that someone of Justice Beasley's caliber will serve as Chief Justice and that our Governor Roy Cooper continues to step up for diversity in our state. I will include more about this important appointment below. I continue to be grateful for the support of the people of Forsyth County and continue to fight hard for the values we share. Senator Paul A. Lowe, Jr.
Gov. Roy Cooper appoints Cherie Beasley to serve as Chief Justice of the North Carolina Supreme Court. Senator Lowe was pleased to get a visit from the East Forysth County High School “Teacher Cadets”. Senator Lowe and his Democratic colleagues at the Medicaid expansion press conference.